The criminal also tagged this car. The witness could only describe the person as having a thin build, of average height and wearing dark clothing. 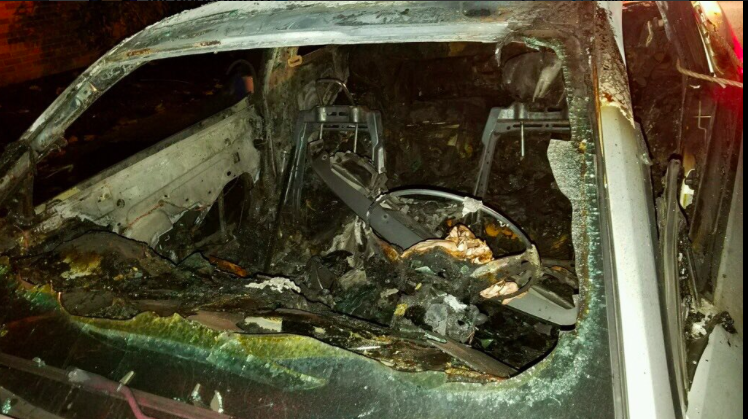 Police have asked for help tracking down the suspect in a Southeast Portland for vandalism and arson.” Police and fire officials in Portland, Oregon, received a call early Friday morning about a car on fire. 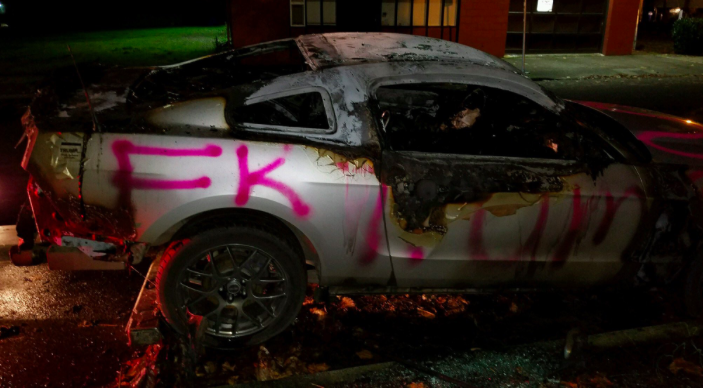 A silver Ford Mustang was spray painted with the words “F**k Trump.” Officers said they noticed a small sticker on the Mustang that was pro-Trump. A tan Volvo parked in front of the Mustang also had graffiti on it as well. 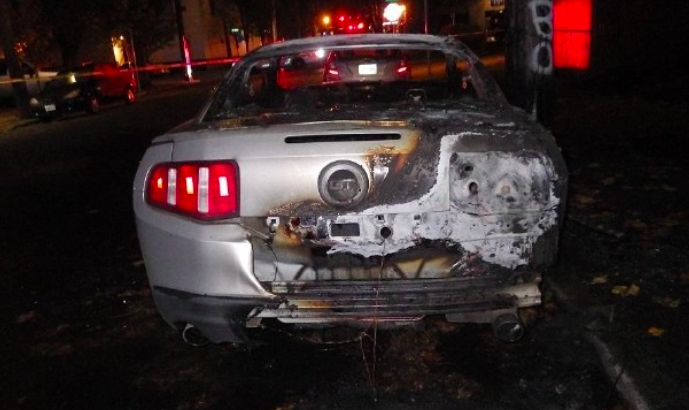 A witness told police that he heard what he thought might have been an explosion, and saw a person jumping in place several times next to the Mustang before running away. The witness could only describe the person as having a thin build, of average height and wearing dark clothing. 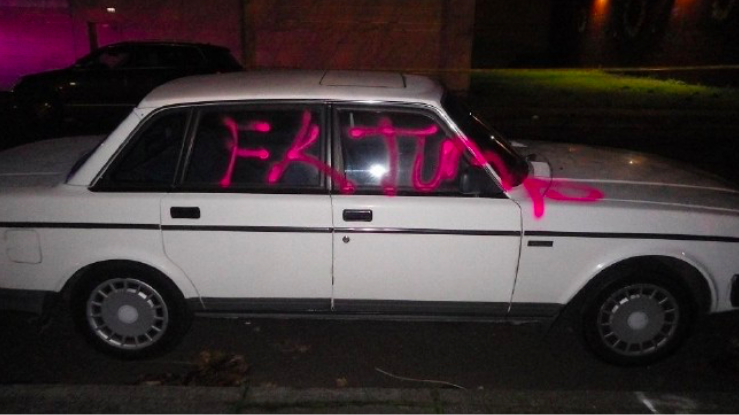 Police have asked for help tracking down the suspect in a Southeast Portland for vandalism and arson. Melania & Barron Trump Won’t Be Moving To The White House?